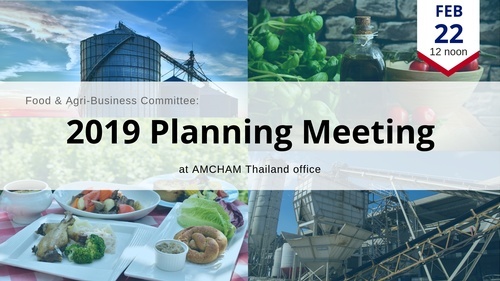 Join the Food and Agri-Business Committee for our 2019 program planning session on Friday, February 22, at noon. Please bring your ideas for talks, tours, lobbying, and other needed and fun activities. We want more people to get involved in 2019, so please invite associates and friends too. Registration is at 12 noon, followed by a sandwich lunch and business networking. The working session will begin at 12:30 pm.